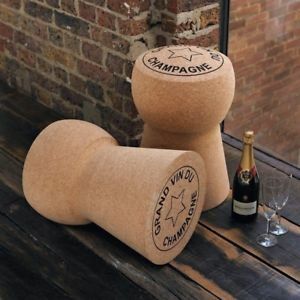 We have had a lot of requests for cork stools and cork tables recently – generally we produce cork stools according to client designs, but given the popularity we have now produced a range of cork stools and cork tables in both the standard wine cork cylindrical format and the mushroom style champagne cork stool. The cork tables we are producing are based on the champagne cork wire cages (muselets), with a cork cap on the top. As we produce the cork stools, we are able to print personalised messages on them and we can vary the dimensions if required. If you have a particular requirement please get in touch. You can download our cork table and cork stools pricelist here – the prices start at €79.56 for a wine cork style stool (43x29cm)for example. 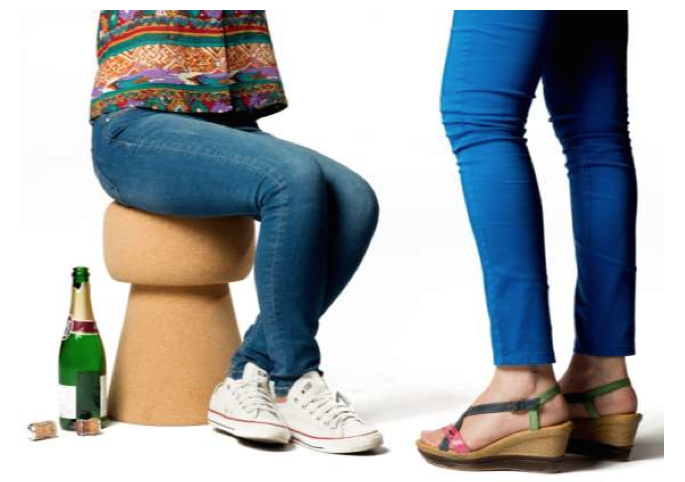 Our standard minimum order quantity is 10 cork stool or cork tables.